Pests aren't a one-time threat - they're always around. Thankfully, we are too. Stay up to date with the latest industry-specific educational resources, tips and news. Our approach centers on a deep understanding of pest biology and the latest industry research. The more we know about pest biology, the better we're able to control them. Make your staff a part of the solution. Effective pest management relies heavily on employee cooperation and participation. At Orkin, we work with you to equip your staff with tools and training that can help prevent pests before they become an issue. 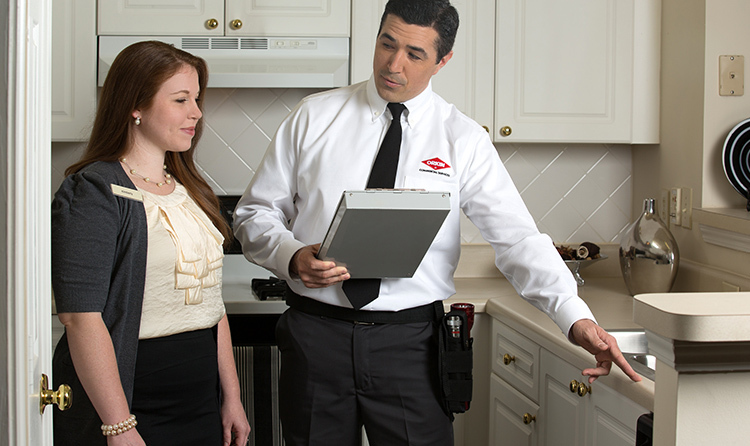 Backed by more than a century of experience and one of the best training programs in the industry, your Orkin Man will put years of scientific research and proven techniques at your disposal to help prepare your employees to show pests the door. Whether you’re up against bed bugs, roaches, rodents or any other critters, Orkin can provide on-site training for your staff so they can learn how to identify specific pests and spot evidence of pest activity when performing their regular maintenance routine. To learn more about our pest control training resources available for you and your employees, simply fill out this form. The level of communication between you, your staff and your pest control provider can make or break your pest management efforts. You need someone to teach your staff about pest identification and monitoring, but also provide education on how to report pest sightings. Your Commercial Pest Specialist will work with you and your staff to achieve the best results. Our clients benefit from training resources, expert articles and even on-site IPM training for their employees. This means it’s easy for you to prepare your staff to respond quickly in the event of a pest sighting.